The wait is over! 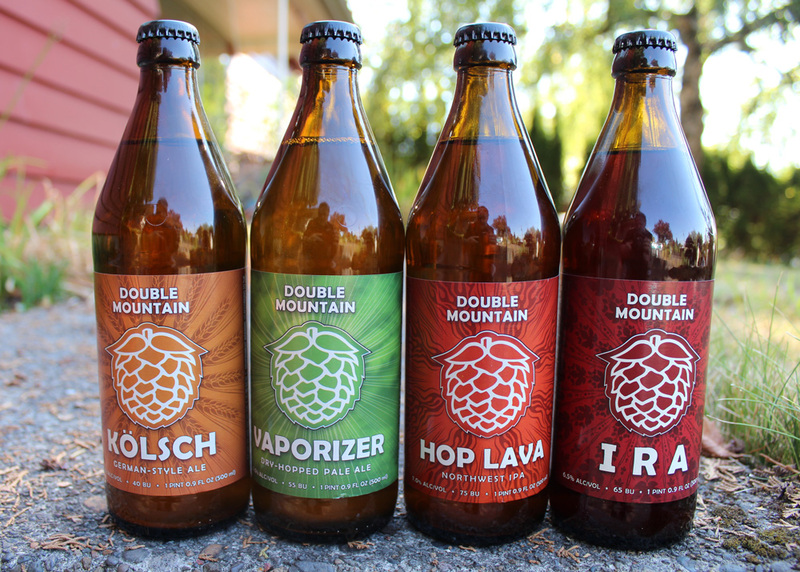 After more than five years in the works, Double Mountain Brewery & Taproom of Hood River, Oregon, is shipping its first truckloads of bottles to the Portland market. The brewery’s core brands – Kölsch, Vaporizer, India Red Ale (IRA) and Hop Lava – will be on shelves and available for purchase on October 15 at fine bottleshops in the metro area. The beers, which until now have only been available in bottles at the brewery’s Taproom in Hood River, come in unique half-liter bottles and will retail single-serve for approximately $3.99 per bottle. The bottles, imported from Germany, are made of thick-walled glass, allowing them to be cleaned and reused many times. Retailers who sell Double Mountain bottles will be segregating returned bottles for a return trip to the brewery. Visit www.DMReturns.com to learn more about this green program and to find participating retailers. The folks from Double Mountain will be all over Portland for a few weeks, pouring samples and meeting fans at various bottleshops. The fun starts at Belmont Station, 4500 SE Stark, Portland, on October 15th from 5-8pm. In addition to bottle samplings and keychain giveaways, the Café side of the Station will be pouring some tasty DM draft selections including KillerGreen Fresh Hop IPA, Killer Red Fresh Hop IRA, and Ferocious Five Bourbon-Barrel Brown Ale. – John’s Market, 3535 SW Multnomah Blvd. – Uptown Market, 6620 SW Scholls Ferry Rd.